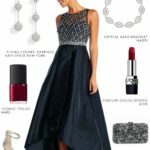 A classic high-low ball gown for formal events and black tie weddings! 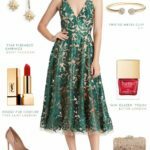 This post about high low ball gown uses commission links. 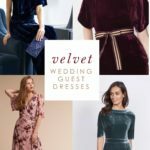 If you are seeking a style for a winter ball, a black tie winter wedding, or a formal holiday party, a high-low ball gown may be just the look! The shorter hem in the front makes dancing a breeze, while the longer hem in the back makes for a sweeping train, and an overall formal style! 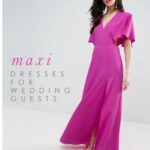 A full-ball gown skirt will never go out of style for formal events, but the multi-level hem makes the look a little more modern. The silhouette, rich fabric, and bit of embellishment makes this gown a must-have for your next formal invitation. This black taffeta high-low ball gown is embellished with a silver beaded overlay, which keeps it formal but not somber. 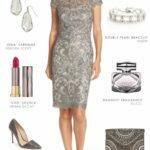 The silver beading also makes it pair perfectly with sparkling silver pave accessories! The pave earrings, bejeweled sandals, and crystal bracelet all pick up on the embellished bodice and waistline. 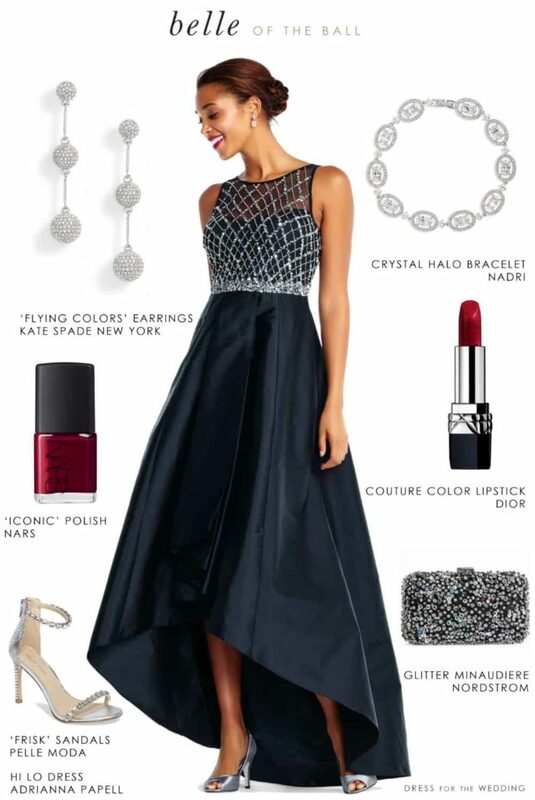 A classic deep burgundy red lip and red nails will add even more to this dramatic, but classic gown! It’s by Adrianna Papell, a designer we love to recommend for formal evening gowns! 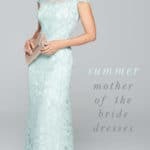 We love this formal ball gown look for formal wedding guests, party-goers, or mothers-of-the-bride or mothers-of-the-groom. Where would you wear this ball gown? 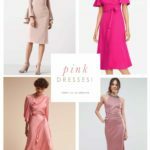 For more formal attire ideas like this, check out our winter mother of the bride dresses, black dresses, holiday party dresses, and winter wedding guest dresses! 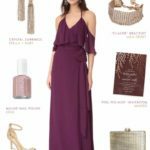 Can YouWear Red to a Wedding?